CrazyTalk Animator breathes new life into your face and body images by allowing you to create talking, walking avatars in just a few clicks. Reallusion's CrazyTalk has always allowed users to animate face images, but CrazyTalk Animator 2 (CTA2) takes this a step further by characterizing face and body images into fully animatable motion characters. CrazyTalk Animator 2 is a fully-featured animation tool designed for quick and easy avatar animation and storytelling thanks to its Universal Character system and its innovative puppeteering tools. With its full editing capabilities, well categorized content libraries and intuitive panels, users can easily design unique characters and specific motions. But the best part of CTA2 is that it allows users to create their own characters from any face or body photo images. Making your image and photo media move instantly is easy as you no longer require complicated procedures or tools like Flash. To start simply import a facial photo and go through the face fitting process that fits a facial wire frame to an image by identifying the corners of the eyes and the mouth. You can also directly import an image from your web cam for faster face-fitting and then use the fully featured image editor that allows you to rotate, crop images, apply colour corrections and face fit; all in the same environment. Likewise, users can use photo body parts to replace arms, legs, and torsos in different angles to create multi-dimensional avatars with a twist. Once the face and body parts are assembled, you can then take advantage of CrazyTalk Animator's Universal Character System to swap and interchange face and body parts while at the same time allowing you to use a library of pre-animated motions for instant animation. With the Face and Body Puppeteering panels you can also create your very own animations with the help of a mouse or any other input device. 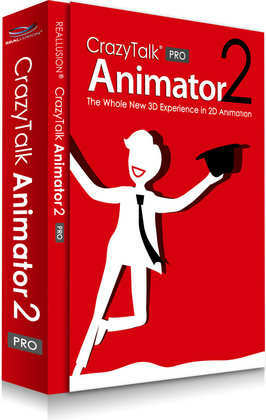 Now, there are no limits into what can now be done thanks to the fast and intuitive features of CrazyTalk Animator 2. After importing your photos you can turn your JPGs, PNGs, GIFs or BMP image files into life-like stuffed animals, comedic fruit, history teaching paintings or just about anything. Imagine the possibilities of creating TV Show parodies with celebrity photos, animated news reports with household pets, or full-motion greetings videos with an ensemble of wacky body parts. 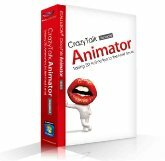 CrazyTalk Animator 2 is a revolutionary animation suite with all the necessary tools to easily create highly customized animations without any background experience. CrazyTalk Animator 2 provides an exciting new approach to traditional 2D animation with innovative tools that allow users to easily customize comics, photo-face avatars, and facial lip-syncing. 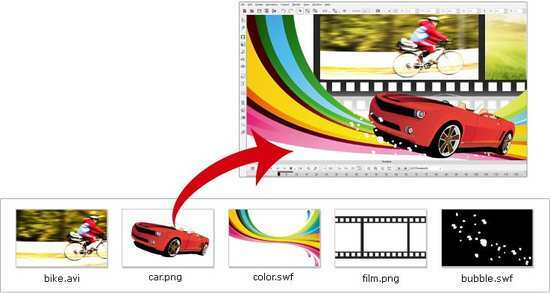 Users can also apply 3D motions to 2D characters, while opening new possibilities for freely editing 2D motions and viewing them from any angle with a single click. Combined with functional features like facial puppet and body motion key editing, it has become the most creative software for 2D character animation and quick capture export for use with 3rd party presentation tools.